This afternoon my cousin Cary and his wife Allison came over for a visit with their two little ones, Lexi and Tori. 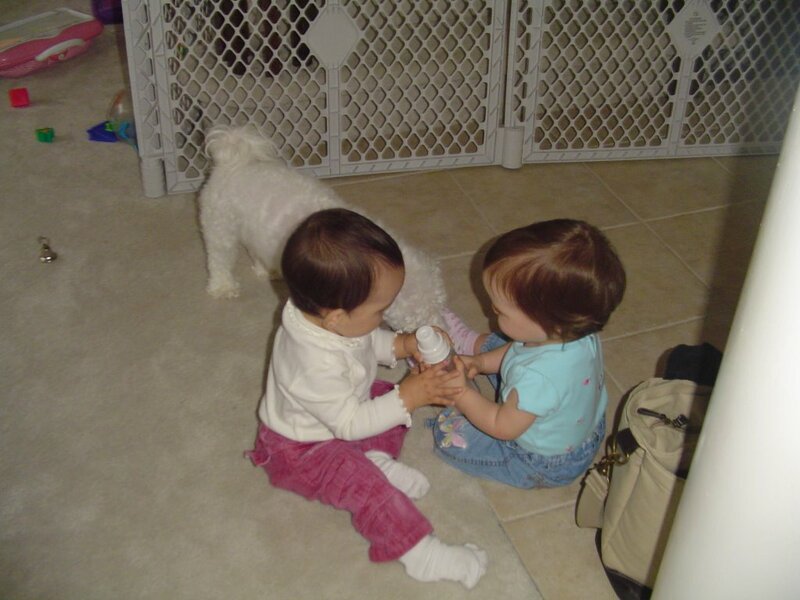 Lexi is 4 years old and Tori is 9 months old. 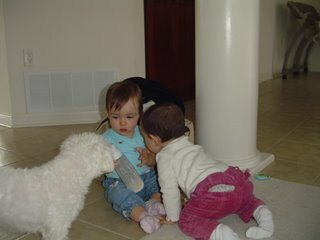 Olivia and Avery had fun playing with both the girl's. Avery showed Lexi and Tori how her toy made music and then she and Tori played tug a war with Tori's milk for awhile. 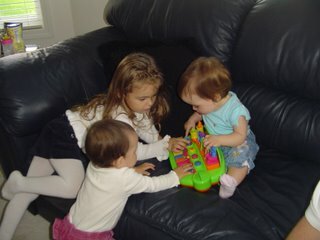 Olivia was right in their too showing the girl's how her musical walker worked. 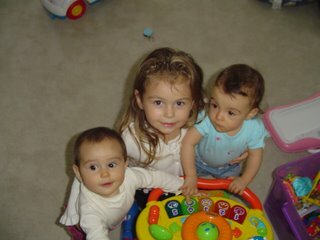 It is always so sweet to see the girl's interact with other children, especially their cousins.